Calling on all you selfie-takers and photo-finish make-up enthusiasts alike! I’m sure that many of you can relate when I say that it can be disheartening when you are feeling particularly pretty and take a photo of yourself, only to find that how you feel is not at all reflected by the image before you. You sulk for a moment and take a few more (or in some instances, a few 20-30 more), only to find yourself looking disgruntled and disappointed at your screen, uttering the word “ew” from under your breath. You delete them all and hope for better later. It really can such when the way you look in real life doesn’t translate to your selfies. Then there are the times when your front-facing camera isn’t the problem anymore. Having your photo taken by others can be quite the grey area when it comes to image, because you never really know how you look in it regardless of how you try to pose. There’s nothing worse than being tagged in a photo that has been uploaded onto social media where you look horrendous standing next to your dazzling friend. NO amount of “Nah, you look cute! I uploaded it because we are both looking fiiiiiiiiine girl” can make you feel any better about that photo. UNTAG. Sure, certain angles, bright lighting, and use of filters can easily transform your photos into glittering fabulous masterpieces. However, I’ve compiled a list of my top 6 favorite make-up tips and tricks to make you look fabulous and photo-ready every time! By using a shine-free foundation that is not oil based, you can avoid any nasty appearances of greasy or sweaty tips on your face, especially when being photographed with a flash. If you want a little shimmer in your complexion, use subtle hints of highlighter across your cheekbones, brow bones, cupid’s bow, on the inner corners of your eyes, and on the tip of your nose. Sheer foundation gives the appearance of a matte, flawless complexion, so when using it make sure to cover your neck and hairline lightly. This way, you’ll avoid making it obvious you are wearing it in photos, such as seeing a colour contrast in skin tone between your face and neck separated by a distinct border across your jawline. For this, I would recommend the NARS velvet matte skin sheer foundation. Silica based powders tend to stand out in photos, even though they seem perfectly fine to the naked eye. They appear to look like teeny crumbs resting on your face, which is exactly what you don’t need to show in your photos. There are a lot of non silica options out there. The best I have found are the setting powders that come as a dust rather than a pressed powder. I use a large powdering brush to lightly dust it all over my face, and one application will usually last me the entire day. 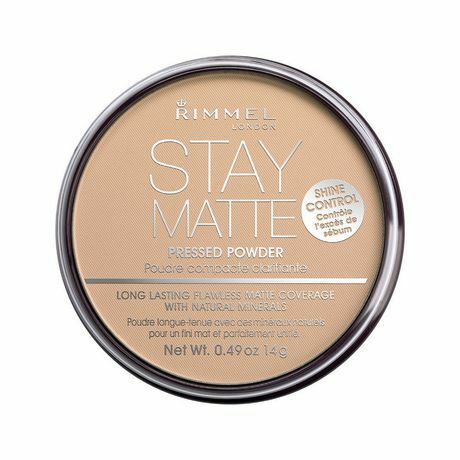 If you still prefer the pressed powder options, I would recommend the Rimmel Stay Matte setting powder. I’m a firm believer in adding dimension to your face, and bronzer is the perfect way to do that. I’ll admit, I’m not the best at using contouring techniques to to define and refine, but I love using a sun-kissed bronzer below my cheekbones, inside the crease of my eye lids, along the temples of my forehead, along the sides of my chin, and along my hairline. This instantly creates feminine depth to your face and makes you appear instantly more attractive. However, it’s important not to go overboard with bronzer, you don’t want it to end up looking like you have a dodgy facial tan! Don’t forget to use highlighter too, to emphasize the high points of your face. Eye make-up looks best in photos in one of two ways – super blended or super precise. You’ll have to choose one or the other if you want your eyes to sparkle in photos. Try to keep track of any smudges. For a super blended look, it’s always a good idea to use brushes, to make sure that the colour tapers out towards your temples. For a super precise look, try to use a fine eye liner to make most of the drama, and go easy on the eye shadow content. You should use some concealer too to define the eye liner even more, especially along the edges. Personally, I am a super precise girl. I’ve been wearing liquid liner with soft brown shadow everyday since I was about 15, and it’s never failed to make my eyes stand out in photos. You just need to experiment and see what works best for you! Using a lip liner can really make your lips stand out and create the ultimate pout in photos. If you are going for colored lips, I would recommend using a lip liner which is 2-3 shades lighter than the actually lip color itself. When going for a natural look, I would recommend using a lip liner which matches the color of your mouth (and not of your lips). I know that sounds a little strange but this allows you to fudge the shape of the lip a bit, enhance the outermost edge, and make lips look full and pouty. Eyebrows are one part of your face that will look the same in real life and in photos, so it’s important to make sure they are trimmed and tamed! If you’ve got gaps in your brows, try using a similarly toned eyes shadow to cover it up. I like to use a hint of vaseline with a light spritz of hair spray on my brows, particularly for a hectic night out. This ensures they stay put for ages even when you’r in the middle of the rowdiest crowd!